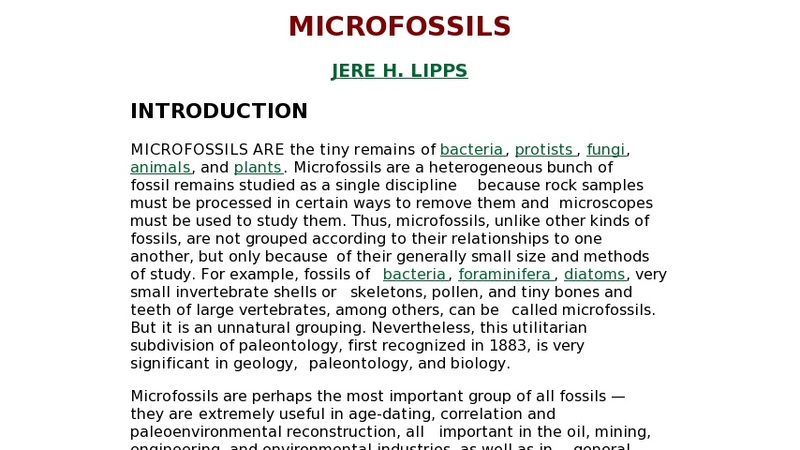 The author provides an overview of the study of microfossils. He explains what they are, where they are found and how they are studied. The reader is also provided with specific examples and the types of microfossils that are easily studied. A varied list of reference works on microfossils is also included.